You are invited to add a family member to your house in the largest pet adoption effort ever held in North Texas. Clear The Shelters Day is Saturday, July 23, 2016, between 10 a.m. and 5 p.m. During this special adoption event, all spayed and neutered animals will be available to the public at no cost, although other fees may apply. The shelters look forward to matching beautiful animals to loving, forever homes throughout North Texas. Please consider opening your heart and home to an animal in need. 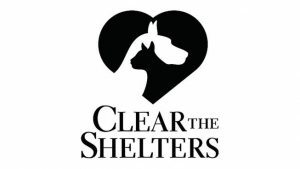 Below is a listing of shelters that are participating in “Clear The Shelter” day. This entry was posted on Wednesday, July 13th, 2016 at 2:57 pm	and is filed under News & Updates. You can follow any responses to this entry through the RSS 2.0 feed. Both comments and pings are currently closed.